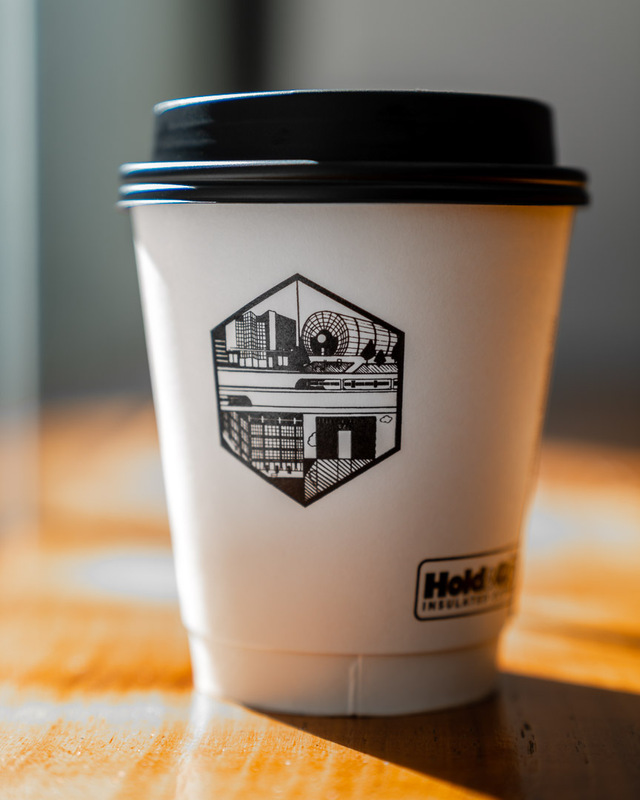 Last April, we collaborated with our friend Arjan Jager to design new artwork for our cups! His afternoon doodle sparked an idea that begins phase two this week! We’re proud to present our second Cup Design Artist, new dad, Barista Trainer, and all-star teammate and friend: Tyler Roberts! Tyler’s been with Clarity since August 2016 and holds the Clarity record for longevity having been with the team for 2.5 years out of the 3.25 years we’ve been around. When he joined the team, we knew he could make great coffee and take care of the friends and family that walk into the cafe, but art was a secret talent we didn’t know he had. Stop by the shop and grab a tasty drink to enjoy while you check out Tyler’s design incorporating all our great neighbors. Use it as a tour guide to check off great places to visit with your cup of coffee! Whether it is the OKC Museum of Art, the OKC Memorial, Myriad Botanical Gardens, or 21C Museum Hotel, we are confident you’ll have a great time exploring our city.